Dr. Nisha Patel has been in private practice as a general dentist in Burbank since 2002. She graduated from the London Hospital Medical and Dental School of England in 1990 with a Bachelors Degree in Dental Surgery. She moved to the United States in 1991. Dr. Patel attended New York University College of Dentistry and graduated with a Doctors Degree in Dental Surgery in 1993. She completed a general dentistry residency at Northshore University Hospital/Cornell Medical Center in Manhasset, Long Island, in 1995 and then went into private practice in Elmont, New York. In 1996, Dr. Patel and her family relocated to California where she worked as an associate dentist in private practice after successfully completing her California Board exams in 1997. Today, Dr. Patel enjoys taking care of her patients dental health care needs in her established private practice. When not practicing dentistry, she is busy raising her three sons. 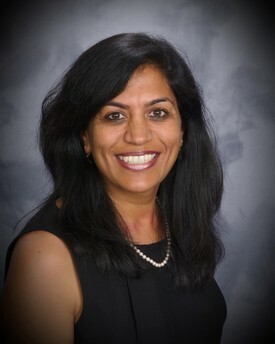 Dr. Patel is a member of the PTA and volunteers in many school events.